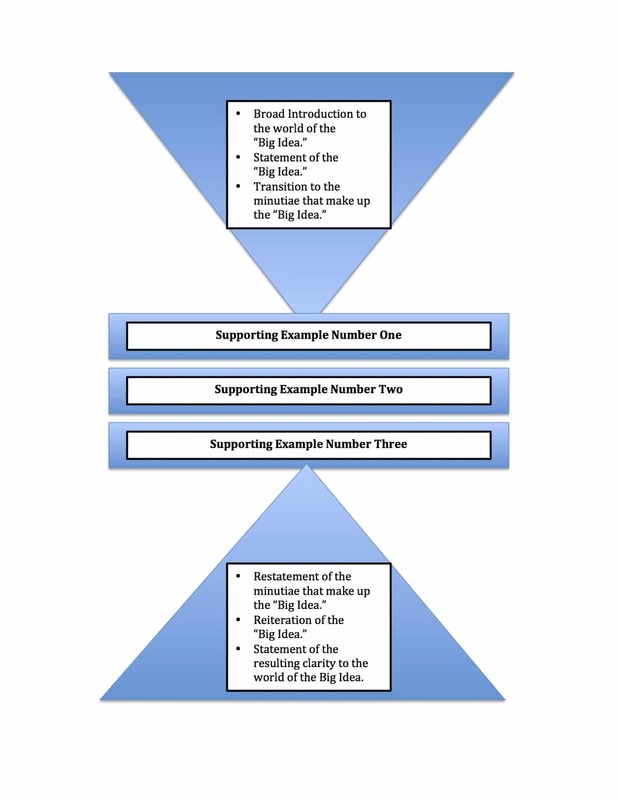 Now that I’ve categorized the global genre of Malcolm Gladwell’s The Tipping Point—Big Idea Nonfiction—and the conventions and obligatory scenes generally associated with that global genre, I need to think about the foundational building blocks of Big Idea Nonfiction. Why do I need to know the building blocks now? Before I’ll ever be able to come up with a dynamic infographic Story Grid of The Tipping Point, I’ll need to create a Foolscap Global Story Grid and a Story Grid Spreadsheet for The Tipping Point. By pinpointing the External Genre and the Conventions and Obligatory Scenes of that Genre, I’ve made some progress at the top of the Foolscap Global Story Grid page for The Tipping Point, but what about the Story Grid Spreadsheet? To refresh your memory, The Story Grid Spreadsheet is the micro to the Foolscap’s macro. The Spreadsheet tracks the scene-by-scene movement while the Foolscap tracks the beginning hook, middle build, and ending payoff of a global work. How am I gonna make these two docs jibe for Nonfiction? The Story Grid book took a deep hard look at Thomas Harris’s masterpiece The Silence of the Lambs and put forth the notion that Scenes are the fundamental building blocks of Fiction. So by tracking the success or failure of the Scenes that make up a work of fiction, a writer can fine tune his global Story. So what are the Scene equivalents for the Big Idea Book? What are the elements that create the Sequences, Acts, and Subplots in Nonfiction? For that matter, are there Sequences, Acts and Subplots in Nonfiction? I think there are but I don’t want to get too far ahead of myself. Instead of falling into a panic about all of the work I have to do, perhaps I should just think about where the Big Idea Book came from…that could help me figure out what the building blocks are. So let’s think like Marcus Aurelius…What’s the Big Idea Book’s causal nature? Let’s break it down. Novels have shorter forms right? There are novellas and short stories. Nonfiction must have equivalent shorter forms. Thinking about a smaller version of a Big Idea Book will narrow my focus. I’d say that Ph.D. dissertations (Academic) and Operating Manuals (How-To) and Extended Essays (Narrative Nonfiction) would be the medium forms of Nonfiction. And Fiction’s short story equivalents for Nonfiction would be research papers (Academic), driving directions or Ikea furniture assembly diagrams (How-To) and short short form reporting pieces like W.C Heinz’s classic “Death of a Racehorse” (Narrative Nonfiction). But where did all of those things come from? Is there some Nonfiction form from which these all sprang forth? I think there is. It’s one of those inevitable, but surprising reveals too. It’s the form of the High School Thesis paper. The 2,000 to 5,000 word, dry as dust compositions our English Lit teachers put us through in High School and our Professors put us through in College? A pyramid moving from specific to general. But how do you construct these three Nonfiction Beginnings, Middles and Ends? How do you make an argument? How do you persuade someone to believe you? How do you persuade them to act? In the last post I wrote briefly about how Aristotle answered this question. He suggested that there are three forms of persuasion: ethos, logos and pathos. I think these are the three building blocks of Nonfiction Scenes. Pathos is the writer appealing to the emotions of his audience to get them on his side, arousing readers’ anger or appealing to their self-interest or sense of identity. As you’ll surmise, employing a fiction writer’s Story techniques is crucial to being able to make this form of persuasion for a Nonfiction writer. New Journalism’s pantheon knew how to do this as do the Tony Robbins’ and Erik Larsons of the world. Getting readers to “like” the writer or “root” for him to succeed in his argument is another way of making a Pathos based argument. Or, on the other end of the spectrum, perhaps the writer wishes his readers to “fear” his “Oz-like” all-knowingness. In this case, the reader’s inability to understand is not the failure of the genius writer’s erudition, but of the novice reading the material. It’s kind of intellectual sado-masochism. Gore Vidal was a master of this kind of “I’m smarter than you” school. Both “hey, we’re all in this together” and “hey, I know more than you so try and keep up” can work. Whether they know it or not, arguers/writers confront that old Machiavellian rhetorical question Is it better to be loved or feared? with every mission statement/project they take on. The way they reveal their preference (their desire to be loved or feared) reveals itself in the their choices among these three fundamental forms of persuasion. Do they include all three persuasion techniques in their global argument? How well do they transition from one form of persuasion to another? And of course, how do they execute each technique? Malcolm Gladwell masterfully uses all three kinds of persuasion in The Tipping Point. And he weaves his narrative in and out of one to the other in practically invisible ways. But that’s not what made The Tipping Point a book that people hold dear to their hearts. Nor is it what made the book a monster bestseller. What made it both of those things is The Tipping Point‘s Internal Genre, not its External BIG IDEA BOOK Genre. First, congratulations on rolling out The Story Grid yesterday, and thanks for the Ab-Fab deal – I was thrilled to see that you included posters. I’ll be watching for the mail carrier in the coming days. Thanks for today’s post. I’m probably one of the few who actually has fond memories of my high school English classes and writing those compositions under the scrutiny of Miss Neal and Mrs. Belden. But reading about Ethos, Logos and Pathos also reminded me about the influence of the high school Debate Club, where these same skills can get a great work-out. Of course, we were debating the draft during the Viet Nam war back in my day, so everyone was whipped up into quite a lather. As always, thanks Shawn! As a philosophy major, I studied Ethos, Logos, Pathos. I think we applied them most in rhetoric. Having just watched the PBS special on the ending of the Viet Nam War I am sure it brought back memories. My brother was in the TET offensive in 1968, all the while back home I was in prison. Not to alarm you, I met a prison school teacher who told me God could change my life. He did and hers too, we just celebrated our 35th Anniversary. It is this story I have been trying to write for many years. As for today’s post, I wish I had known about your version of the thesis structure when I was in high school and university. I muddled my way through what feels like zillions of papers and I had to figure out how to write them on my own. It was rather painful. I don’t recall being taught any kind of structure at all. The Tipping Point has an Internal Genre? Really? I haven’t got a single clue what it might be and I’m fascinated to learn that it even has one! Looking forward to Thursday’s post with much anticipation! I did not learn about ethos, pathos, and logos in high school. I did have the five-paragraph structure drummed into me. One of the requirements for AP English (in preparation for the AP exam) was to crank out one of these in one half hour once a week. Oh, yes, that has served me well. Hmmm, I wasn’t in class when I should have been learning this stuff. Guess it’s a good thing you’re teaching me now! Thanks Shawn because these articles have crazy layers! Okay, you’ve got me. I’m on the edge of my seat! ETHOS: Book Depository and Fishpond deliver free to Australia. It must be possible to organise a kinder, more affordable delivery to this country from the US than the one on offer. LOGOS: The $25 package landed in Australia is $105. The three listed options for delivery are the most expensive – speed is not important and those you selected are premium speed delivery systems. There are other options for delivery to Australia from the US. FedEx and DHL have more options than those on the checkout page. PATHOS: Your brilliant book is important to me and I think it will make a difference to my writing, but for it to reach me here in Australia I need to be able to afford it. Others can do it! As a student of the Lost Art of Thinking, I am fascinated watching you lay bare your mental process. I had wondered how you’d pull off this bit, but hadn’t thunk forward enough to ponder the internal genre. Internal genre. For a nonfiction book. It’s either going to be obvious or brilliant. Okay, I’m hooked. And I’m rereading your book. I am at location 610 of your book that depicts the story grid for The Silence of The Lambs and like all graphics in Kindle e-books it is too small to be read and can’t be enlarged. How can I get a readable copy? BTW, when I was a lawyer at the Justice Department 30 years ago I dated the FBI agent on whom Thomas Harris later based his book.